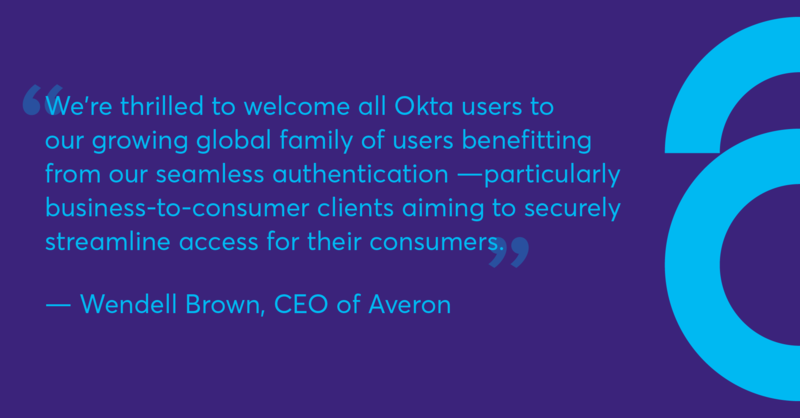 SAN FRANCISCO, Calif., April 2, 2019—During Oktane19 today, Averon, developer of the patented Direct Autonomous Authentication®(DAA®) technology, announced it has integrated its technology with Okta, Inc.
SAN FRANCISCO, July 12, 2018 /PRNewswire/ -- Averon today proudly announced two prominent technology industry luminaries, Esther Dyson and K.V. Rao, have joined the Averon Advisory Board. Tech analyst, investor and philanthropist Esther Dyson and entrepreneur and investor K.V. Rao bring impressive insight and credentials to Averon's already stellar Advisory Board. Averon, developer of the world's first mobile identity verification standard that is both automatically frictionless and ultra-secure, has been listed as one of five "Companies to Watch" in One World Identity's annual report on the identity and authentication industry. The independent report, titled "The Perimeter is Dead, $148B Physical Access Market to Lead IAM Growth," evaluated solutions for the Physical Identity & Access Management (PIAM) space and took a broad view of the IAM landscape. Averon today proudly announced that Sheila Lirio Marcelo has joined the Averon Advisory Board, adding to an already stellar roster. Marcelo is the acclaimed founder, chairwoman and CEO of Care.com (NYSE: CRCM), theworld's largest online destination to find and manage family care, which serves more than 27 million people in more than 20 countries. 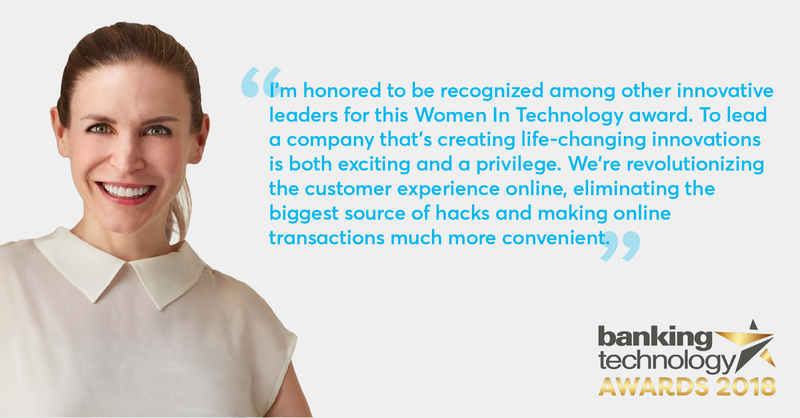 Internationally recognized for her humanistic business focus, Marcelo has been lauded for her lifelong support of increased opportunities for women around the world. At FinovateSpring 2018 today, Averon announced its new solution for boosting mobile conversions with automated signup and checkout. 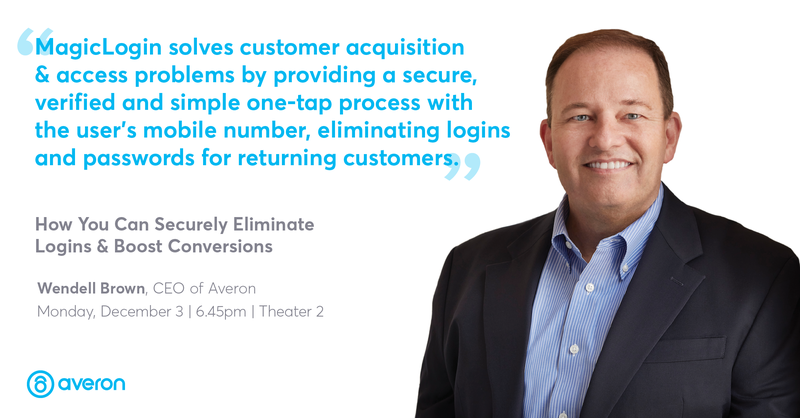 Averon's new MagicFill solution uses the ultra-secure, real-time data signaling between smartphones and mobile carriers to seamlessly convert prospects into customers with just a ZIP code. Averon has won Gold at the 2018 Edison Awards in the Mobile Solutions category for its Direct Autonomous Authentication® (DAA®) solution. DAA® is the first fully automatic mobile security platform that protects every mobile interaction with instant, effortless user verification. The Edison Awards, celebrating 31 years of honoring the best in innovation and excellence in new technologies, announced Averon was voted a Gold award winner at the organization's annual black-tie gala on April 11 at The Capitale in New York City. Averon announces that John Hjelmstad and James Kondo have joined the Averon Advisory Board. Both of these well-known tech luminaries bring impressive credentials that strengthen and underscore Averon's mission to help the entire digital world Be Authentic. Averon announced today it has been selected by the Telecom Council of Silicon Valley to be featured in this year's coveted Innovation Showcase. The Showcase spotlights extraordinary communication startups that exemplify superior innovation and demonstrate market-ready and deployment-ready momentum and viability. It also matches numerous well-positioned companies and technologies with strategically placed vendors, investors and potential partners. Averon, developer of the world's first mobile identity verification standard that is both automatically frictionless and ultra-secure, announced today it has closed a $5 million Series A1 financing round led by Avalon Ventures and Salesforce founder and CEO Marc Benioff. The round follows Averon's heavily oversubscribed Series A (October 2017), also led by Avalon Ventures, bringing the full Series A amount raised to $13.3 million. Averon has been named a winner in the 2018 BIG Innovation Awards for its Direct Autonomous Authentication (DAA) solution, the first fully automatic mobile security platform that protects every mobile interaction with instant, effortless user verification. Averon has been named a finalist in the Mobile Solutions category of the 2018 Edison Awards for its Direct Autonomous Authentication® (DAA®) solution, the only fully automatic mobile security platform that protects every mobile interaction with instant, effortless user verification. The Edison Awards, symbolized by the persistence, creativity and ingenuity personified by Thomas Alva Edison, recognize and honor the world’s best innovators and innovations. The Edison Awards will announce gold, silver and bronze award winners at the 31st Annual Edison Awards to be held Wednesday, April 11, 2018, in New York City. Averon announced today that it has joined the World Economic ForumCenter for the Fourth Industrial Revolution to advance a trusted, coherent, identity verification system to better foster opportunity and support the movement of individuals, funds, goods, data and other resources. Averon continues its forward momentum this month with the addition of Greg Tarr to the Averon Advisory Board. With a strong background in the telecommunications and automotive industries, Greg is in a prime position to enhance the advancement of Averon's mission to make the entire digital world safer. Averon, developer of Direct Autonomous Authentication (DAA), the first mobile identity verification standard that is both automatically frictionless and ultra-secure, today revealed it has closed an $8.3 million Series A financing round led by Avalon Ventures. The financing will accelerate Averon's rollout strategy in its mission to secure mobile life across the entire digital world, including banking and ecommerce, fraud prevention, smart vehicles and homes, blockchain and IoT devices.